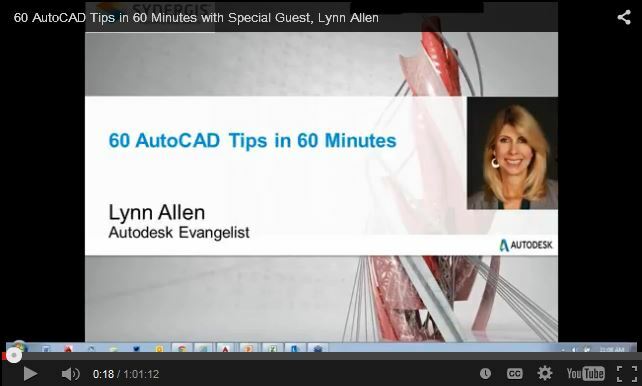 Last month, we were honored to have Lynn Allen, Autodesk Evangelist and Cadalyst contributor, share her 60 AutoCAD Tips in 60 Minutes with our customers. We had hundreds attend, and just in case you missed it, you can still see the recording here. Don’t forget to pick up her latest tips booklet on her blog site, on the left-hand side.